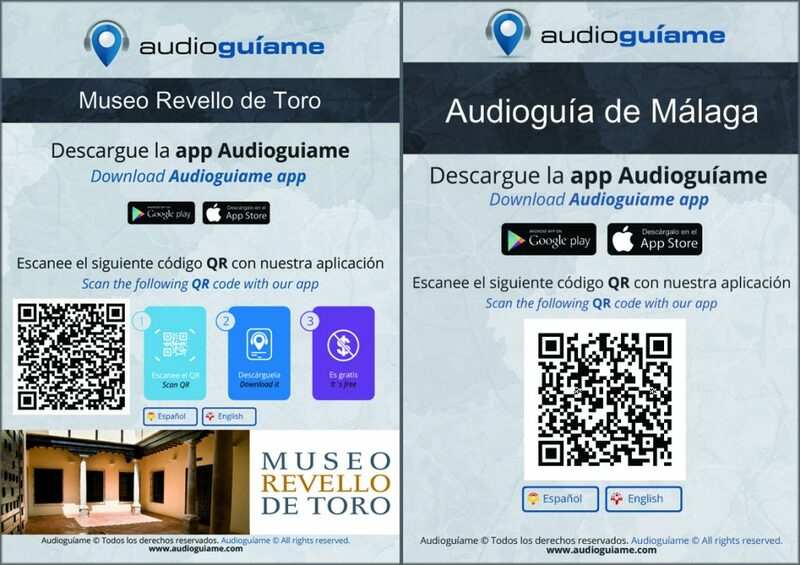 Remote downloads: the audioguide is downloaded by scanning a QR code with our application, but that QR code can be put on the web of your center, send in advance (very useful for group or school visits) or move through social networks , so your visitors can download it before going to visit. Also from the section Close Guides of our application can be downloaded previously without needing to scan the QR code. You can offer your audio guide for free, look for a sponsor or charge a small amount for it. You will have 3 banners available so you can have them to your liking. You can record the audioguide in all the languages ​​you want. Download poster predesigned to put in the reception of your center if you offer it free of charge, in size A4 and A5 and with brief instructions of download. Cards with individualised QR if you decide to charge for your audioguide. Very tight prices and no competition (regardless of the languages ​​in which it is created): from 39.90 euros per month for 250 downloads for a 30 minute audioguide, with very moderate increases as the number of downloads increases. No rentals, no breakdowns, no permanence … total flexibility: you can stay with us as long as you think fit, and publish or unpublish your audioguide according to your needs.